S. D. Senturia, “Microsystem Design”, Kluwer Academic Publishers, 2nd ed., Massachusetts, 2001. T. Clark, C. Nguyen, L. P. B. Katehı, G. M. Rebeız, “Micromachined devices for wireless communications”, Proc. of the IEEE, vol. 86, no. 8, pp 1756-1768, Aug. 1998. W.T. Hsui, T. Clark, C. Nguyen, “Stıffness-compensated temperature-ınsensıtıve mıcromechanıcal resonators”, Proc. of the IEEE, pp. 731-734, 2002. N. Sepulveda, D. Aslam, J.P. Sullivan, “Polycrystalline diamond MEMS resonator technology for sensor applications”, Diamond & Related Materials, Elsevier, vol. 15, pp 398 – 403, 2006. V. Kaajakari, “Theory and analysis of MEMS resonators”, VTI Technologies, 2011. A. Izadian and P. Famouri, “Fault diagnosis of MEMS lateral comb resonators using multiple-model adaptive estimators”, IEEE Transactions on Control Systems Technology, vol. 18, no. 5, pp. 1233-1240, Sept. 2010. N. Deb and R. D. Blanton, “High-level fault modeling in surface- micromachined MEMS” Design, Test, Integration, and Packaging of MEMS/MOEMS, Proceedings of SPIE, vol. 4019, pp. 228–235, May 2000. R. Reichenbach, R. Rosing, A. Richardson, and A. Dorey, “Finite element analysis to support component level fault modelling for MEMS,” Design, Test, Integration, and Packaging of MEMS/MOEMS, Proceedings of SPIE, vol. 4408, pp. 147–158, April 2001. Z. Chen, Y. Y. He, F. L. Chu, and J. Huang, “Dynamic characteristic analysis of the micro-structure with defects,” Chinese Journal of Mechanical Engineering, vol. 40, no. 6, pp. 23–27, 2004. 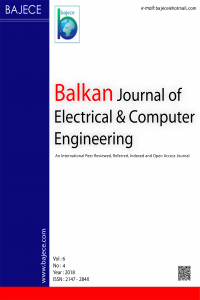 S. Mir, B. Charlot, and B. Courtois, “Extending fault-based testing to microelectromechanical systems,” Journal of Electronic Testing: Theory and Applications, vol. 16, no. 3, pp. 279–288, 2000. D. Paci, M. Mastrangeli, A. Nannini, F. Pieri, “Modeling and characterization of three kinds of MEMS resonators fabricated with a thick polysilicon technology”, Analog Integr. Circ. Sig. Process., vol. 48, pp. 41–47, 2006. M. W. Putty, S. C. Chang, R. T. Howe, A. L. Robinson, K. D. Wise, “One-port active polysilicon resonant microstructures”, Proc.IEEE Micro Electromechanical Systems, pp.60-65, Feb.1989. S. Chowdhury, M. Ahmadi, W. C. Miller, “Pull-in voltage calculations for MEMS sensors with cantilevered beams”, IEEE- NEWCAS the 3rd International Conference, Québec City, Canada, vol. 19-22, pp.143 – 146, June 2005.